Pavagada (India) Belectric Photovoltaic India Pvt. 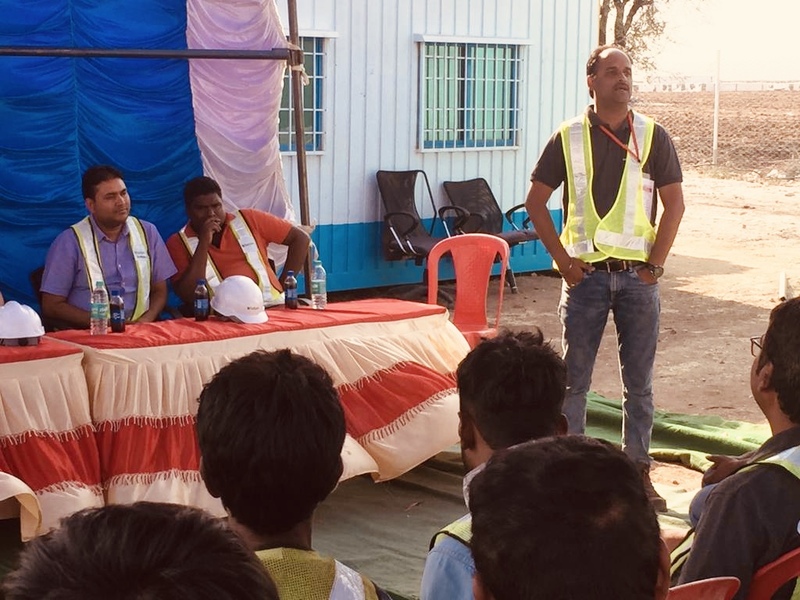 Ltd conducted its monthly HSE motivational program at Pavagada Site. 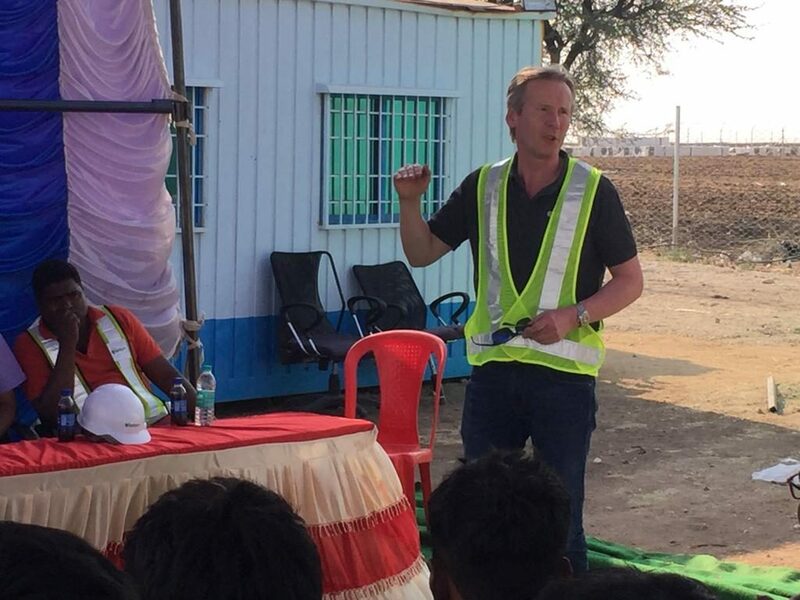 This particular monthly program was also attended by Ingo Alpheus- CEO of Belectric Solar & Battery GmbH and Jitendra Singh- CEO of Belectric Photovoltaic India Pvt. Ltd. 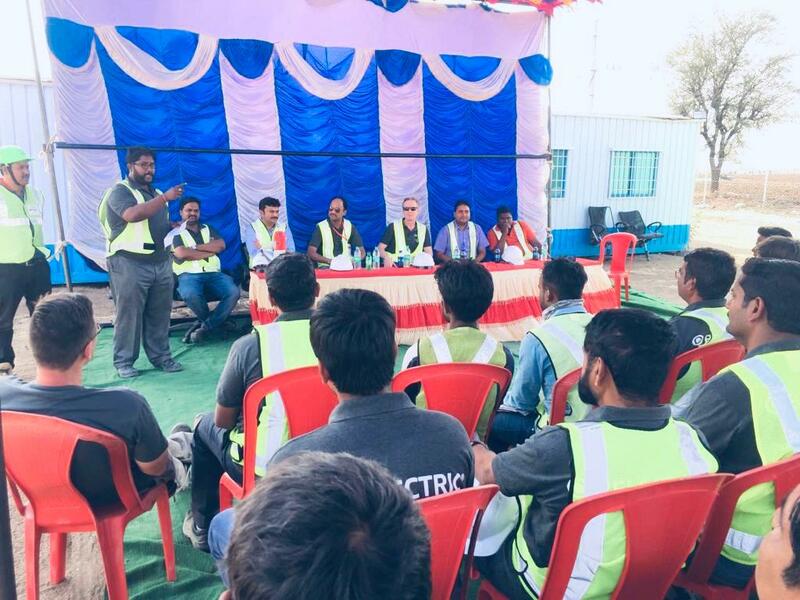 The Management insisted on company’s real focus towards HSE and also congratulated the workers & employees on achieving excellent parameters related to HSE. The motivational speeches were followed by prize distribution to individuals for outstanding performance in last month and sweets.